So to date are we all with the Program? Are we getting the Truth of it all yet. Well isn’t that all so interesting? All wars started in the Name of “Self Defense”. British prospectors have found a substantial field of natural gas, holding an estimated 1.5 trillion cubic feet, off the coast of Gaza which Israel is coveting. Two factors that are not being talked about much, but have figured prominently in the Israeli calculus are: natural gas and the upcoming elections to the Israeli Knesset, their parliament. Gaza is a small strip of land on the Mediterranean Sea. Its territorial waters extend to about 35km off the coast. In 1999, the oil firm BG International discovered a huge deposit of natural gas 32km from the Gaza coast. The Gaza Marine gas field contains 1.2 trillion cubic feet of gas valued at over $4 billion. As per the Oslo peace accords, which created Gaza, Israel has security control over air and water around Gaza. So, it wrangled a deal with BG to get access to Gaza Marine gas at cheap rates. But before the deal could go through, Hamas won the elections to the Palestinian Legislative Council in 2006. This sparked off a bitter power struggle between Hamas and the pro-west Fatah. Ultimately, the Palestinian Authority split in 2007, with Hamas taking control of Gaza and Fatah taking control of West Bank. One of the first things that Hamas did after getting elected was to declare that the natural gas deal would have to be renegotiated. Then began the Israeli blockade of Gaza, which prevented much required food and medicines from reaching the hapless Gazans. Crammed into about 360 sq km, 1.5 million Gazans saw their lives crumble into dust. To get food and medicines, Gazans built tunnels under the Israeli barriers, and once even broke through on the Egyptian side. But the Israeli and Egyptian army tamped them down. It appears that the current Israeli move is to try and turn the Gazans against Hamas, paving the way for a more pliable administration, so that the gas deal will go through. Reports from Israel indicate that preparations for this attack were underway since several months ago, with the ceasefire offered by Israel being just a ploy to lull Hamas. In addition, the coming elections in Israel are predicted to see a tough challenge to the Kadima party-led government of Ehud Olmert by the hardline Likud party, led by Benjamin Netahnyu. Even within Kadima, Olmert is facing a challenge from foreign minister Tzipi Livni. Olmert has come under much criticism for the botched invasion of Lebanon in 2006. Many see the Gaza attack as an attempt by Olmert to revitalize his position within Israel. Within seconds I learned of the tally: 290 deaths and climbing, with 700 more wounded, all in one day. But as dramatic as this event may have seemed – the highest Israeli inflicted death toll in one day in Palestine since Israel’s establishment in 1948 – there was nothing new to learn. Tragedies anywhere, natural or man made, tend to lead to social, cultural, economic and political upheavals, revolutions even, that somehow alter the social, cultural, economic and ultimately political landscapes in the affected regions, save in Palestine. Once again the US blamed Palestinians, and the Hamas “thugs” using words that defy logic, such as “Israel has the right to defend itself.” The statement remains as ludicrous as ever, for a country like Israel with an army that possesses the world’s most lethal weapons, including nuclear arms, cannot possibly feel threatened by an imprisoned population whose only defense mechanism are fertilizer-based homemade rockets. While Israel has killed and wounded thousands of Palestinians in Gaza (one thousand on Saturday alone) a handful of Israelis have reportedly died as a direct result of the Palestinian rockets in years. Do numbers matter at all? Then, the same, ever predictable outbursts began. Passionate callers from all over the world called various TV and radio stations in the Middle East and shouted, yelled, cried, vented, called on God, called on Arab leaders, called on all of those with “living conscience” to do something. In turn, audiences too cried at home as they listened to the heated commentary and watched footage of heaps of Palestinian bodies throughout the Gaza Strip. Was Mr. Abbas informed of the fact that Hamas hasn’t carried out one suicide bombing since 2005? Or that the ‘truce’ never compelled Israel to allow Palestinians in Gaza access to basic necessities and medicine? Or that it was Israel that attacked Gaza in November, killing several people, claiming that it obtained information of a secret Hamas plot? “Long-term preparation, careful gathering of information, secret discussions, operational deception and the misleading of the public – all these stood behind the Israel Defense Forces “Cast Lead” operation against Hamas targets in the Gaza Strip,” wrote the Israeli daily newspaper Haaretz on December 28, which also revealed that the plan had been in effect for six months. “Like the US assault on Iraq and the Israeli response to the abduction of IDF reservists Eldad Regev and Ehud Goldwasser at the outset of the Second Lebanon War, little to no weight was apparently devoted to the question of harming innocent civilians,” said Haaretz. And why should Israel devote a moment to the question of harming civilians or violating international law or any such seemingly irrelevant notions – as far as Israel is concerned – as long as their “Palestinian partners”, the Arab League, or the international community continue to teeter between silence, complacency, rhetoric and inaction? By Thursday, January 1, the death toll climbed to 420, according to Palestinian medics and news reports, and over 2000 wounded. Scores of the wounded are clinically dead. Others are so badly disfigured; I felt that death is of greater mercy for them than living. We had no more room at the Qarara Clinic. Body parts cluttered the hallways. People screamed in endless agony and we had not enough medicine or pain killers. So we had to choose which ones to treat and which not to. In that moment I genuinely wished I was killed in the Israeli strikes myself, but I kept running trying to do something, anything. Until Arab countries and nations translate their chants and condemnations into a practical and meaningful political action that can bring an end to the Israeli onslaughts against Palestinians, all that is likely to change are the numbers of dead and wounded. But still, one has to wonder: if Israel kills a thousand more, ten thousand, or half of Gaza, will the US still blame Palestinians? Will Egypt open its Gaza border? Will Europe express the same “deep concern”? Will the Arabs issue the same redundant statements? Will things ever change? Ever? 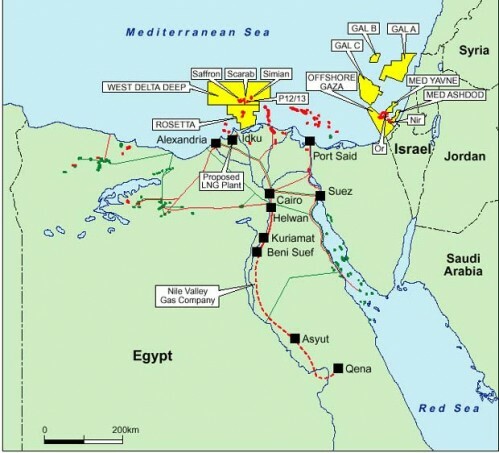 The rights to the offshore gas field are respectively British Gas (60 percent); Consolidated Contractors (CCC) (30 percent); and the Investment Fund of the Palestinian Authority (10 percent). : Haaretz, October 21, 2007. Israel’s intent was to foreclose the possibility that royalties be paid to the Palestinians. In December 2007, The BG Group withdrew from the negotiations with Israel and in January 2008 they closed their office in Israel. (BG website). proposed Israeli-Turkish pipeline with the Turkish port of Ceyhan. Israel refuses to stop Bombing , shelling and murdering, those in Gaza even though the UN has demanded they stop. This after killing those in UN schools and a UN worker and wounding others delivering Aid to those in Gaza. The killing and injuring Gazan’s must stop, NOW. I would suggest a total “Embargo” against Israel. I would suggest doing to them, what has been done to those in Gaza for so long. No one, or anything in and nothing, or no one allowed out. I would not suggest Bombing them with Weapons like they are using, as that will only increase the staggering amount of Toxic slop already there because of their own use of it. Cutting them off of all goods going in or out, would be a good start to let them know, the rest of the world is not going to tolerate, their reluctance to stop the killing innocent people. The embargo would also include Oil and Gas etc. The sooner the better. This should be done immediately. Aid could be transported through Egypt to Gaza. That is if there is a still a road left to transport it. No Gas, no Oil, no planes or tanks can operate. Absolutely no more weapons, to Israel either. Cut off all money entering Israel. They are a terrorist state. Hey it was done to Iceland, by Gordon Brown and they weren’t killing anyone. Seizing their assets around the world, would send a very clear message. If this is not done they will continue to kill those in Gaza. They have absolutely no intention of stopping. That should be obvious to all by now. They attacked the United Nations when they attacked the schools and the driver in the UN aid truck. They attacked all United Nation members in doing this. Legally any member of the UN has every legal right to Seize their assets. This was a terrorist action. It doesn’t make any difference in which country it was done. If they attacked a UN instillation anywhere else it would be considered and act of terrorism. Just because they did it in Gaza does not make it less of a crime. It was not an accident. All UN vehicles and buildings are clearly marked. They would also know exactly where the UN schools they attacked were. It was a deliberate act of aggression toward the UN. There fore it is an act of terrorism, and should be treated as such. No excuse is acceptable. They should also never and I mean never, be allowed any of the Natural Gas discovered either. Scream at your Government Officials and don’t stop screaming until they Force an Embargo. Actions speak louder then words. Government officials need a message loud and clear to do this other wise they will have to talk and talk and talk. Israel must comply with the UN decision. The members of the UN must make it very clear Israel must stop it’s war on Gaza, one way or the other. No more waiting to see what will happen. No more beating around the Bush. NO MORE! Enough of their lies! Enough murder! The UN has the power and resources to stop them. The war should have been stopped before it started and could have been, had the UN been more forceful. Those in Israel who began the war should be arrested, thrown in jail, tried for Crimes Against Humanity, War Crimes and Murder including the deaths of their own Soldiers. This war is Premeditated Murder and Genocide. The” Self -Defense Ritual” is pure and utter propaganda. A blatant, self serving, LIE.….. It is time to put all those new laws pertaining to terrorism to work like the “Patriot Act”. The Governments around the world can and should, use those acts against Israel. If they use them against anyone else who commits and act of terror, it is only true justice and equality for all, they use them in response, to Israels refusal to stop the war of aggression against those in Gaza. It is the Law after all and the Law applies to everyone including Israel. Gaza (4): A Picture Is Worth A Thousand Words This links to 4 other pages with pictures -all devastating As a matter of fact the farther you go the worse they get. on January 10, 2009 at 1:16 am Comments Off on Gaza War Why? : Natural Gas valued at over $4 billion MAYBE?